Dubai World Trade Centre (DWTC) events accounted for a record Dh12.7 billion ($3.45 billion) in retained value towards Dubai’s economy, equivalent to 3.3 percent of the emirate’s GDP in 2017, a media report said. The total economic output of DWTC’s large-scale events at Dh22.5 billion, an increase of 8 per cent since 2015, of which nearly 57 per cent is retained within the local economy, reported Emirates news agency Wam, citing the latest Economic Impact Assessment report released by DWTC. 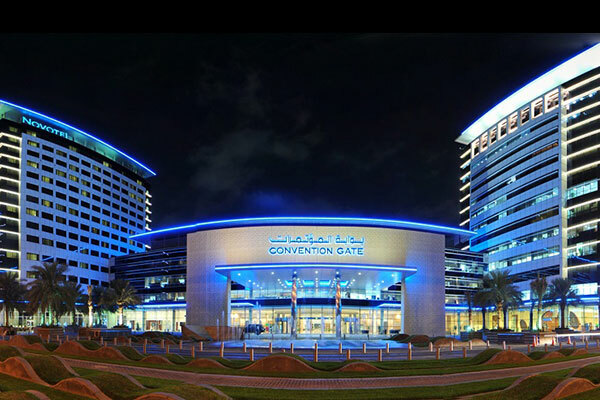 Reaffirming the importance of the MICE (Meetings, Incentives, Conferences & Exhibitions) sector to Dubai, the 2017 report highlighted unprecedented sales within the sector from event participation related spends generated by large-scale events, driving 4.3 times its value in overall non-trade business activity across Dubai’s economy. In other words, every Dh1,000 spent at a DWTC event generated Dh4,300 in value for the Dubai economy in 2017. The multi-sector impact of events driving incremental value across tourism, hospitality, aviation and entertainment, is estimated to have supported a total of 84,226 jobs as an immediate consequence of DWTC - hosted and managed – events, generating disposable household income of Dh4.1 billion. Of the figure, MICE and adjacent sectors contributed the direct impact at 71 per cent of the number of jobs created, while 29 per cent of the number of jobs were the result of indirect and induced employment impact across the wider domestic economy. Out of the Dh22.5 billion total value generated by large-scale events, Dh16 billion was directly driven by event participants’ spend within the MICE and adjacent sectors relating to travel, tourism, hospitality and entertainment, supported by a 24 per cent increase in MICE business services spend, from Dh4.2 billion in 2015 to Dh5.3 billion in 2017. The growth in total value generated was further catalysed by a 13 per cent increase in the number of international exhibiting companies, since 2015. Three new halls, Zabeel Hall 4, 5 and 6, were opened by DWTC in the last quarter of 2015 to meet the increasing demand and number of exhibitors. "DWTC’s priorities are firmly aligned with UAE Vision 2021, the nation’s economic diversification strategy and the 2017 Economic Impact Assessment is testament to DWTC’s success as a MICE entity that enhances the value of business tourism to Dubai and makes invaluable contributions to its GDP,” said Helal Saeed Almarri, director general, DWTC Authority and Dubai Department of Tourism and Commerce Marketing. “The value for Dubai’s economy through hosting business events is undeniable and our strategy focuses on attracting maximum overseas participation, which is critical to ensuring the success and sustainability of events in the MICE sector. “The strong growth not just in the gross revenues but also in the economic value added is a testament to the ability of the industry to minimise leakage and retain the contribution within our economy for continued growth. Through our continued focus on increasing international business visitation to our events, we are committed to supporting the tourism target of 20 million visitors to Dubai by 2020. "Furthermore, the synergistic benefit of MICE-linked spend across related sectors in the business tourism value chain has a powerful multiplier effect, allowing the sector to fuel Dubai’s economic engine," he concluded.